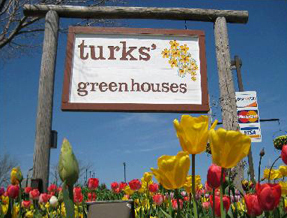 Since 1978, Turks’ Greenhouses has provided outstanding service in our Greenhouse. Libertyville, IL customers appreciate knowing that we grow our annuals here. At Turks’ Greenhouses, we have many greenhouses and we’re careful to stock them from spring to fall for you to pick from - everything is carefully grown on-site in our own Greenhouse. Libertyville, IL customers are pleased with our selection and are happy to be able to shop locally. We thoroughly enjoy ‘wowing’ our customers with our large selection of perennials, annuals, planters, hanging baskets, herbs, vegetable plant and fruit plants – all grown in our own Greenhouse. Libertyville, IL customers should call us today at 847-546-1569 at Turks’ Greenhouses and see how we can meet your need with the wide variety of offerings from our Greenhouses.